We rank it amongst top 2, other is Haldiram. Bikanerwal, quality is guranteed. 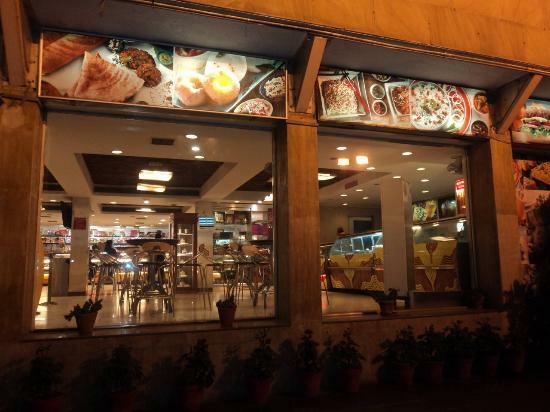 We will always recommen the travellers to once try this outlet when in delhi. it is at central location. A nice, decent seating and ambience. Ordered spring rolls in the starters, which were flavourful and quite crispy. Also, had a dosa which was tasty. The quantity is good and this place can be visited again considering the large north-south Indian signature menu. Its a great place to have breakfast. Ample place to sit and there is a quite a lot of variety available in the morning as well. Great stuff. A Mecca for sweet lovers! This place is truly an emporium for excellent Indian sweets. Also, this branch has a restaurant upstairs which serves a great range of savoury meals. The sweet lassi is amazing, and you cannot miss the Lamba Jamun - the sweetest, creamiest sweets I've ever eaten! Get quick answers from Bikanervala staff and past visitors.